I am super excited to share today's photo session with you, thanks to our friends Christy + Jasen of Studio Moirae Photography. 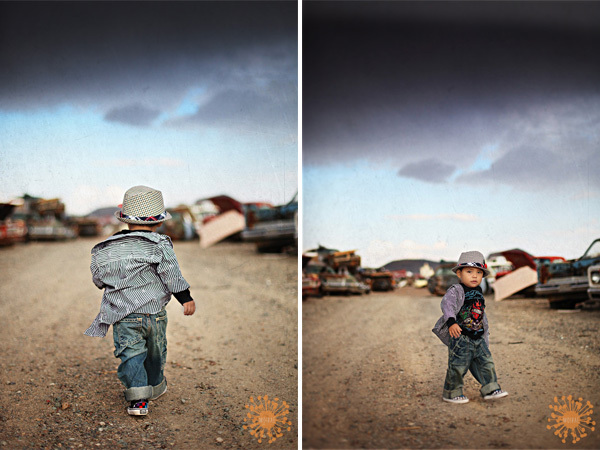 This session, named "Aiden's Junkyard" features an adorable one year old little boy along with some of the most amazing styling and inspiring photography that I have seen yet! Aiden's mom had requested a creative photoshoot for her little one and Studio Moirae delivered - from the location, to the props and clothing, everything came together for some unbelievable images. Even mother nature helped, providing some storm clouds and a few showers to create an awesome natural backdrop for the session. The storm rolled in just in time to capture these AMAZING photos - WOW! 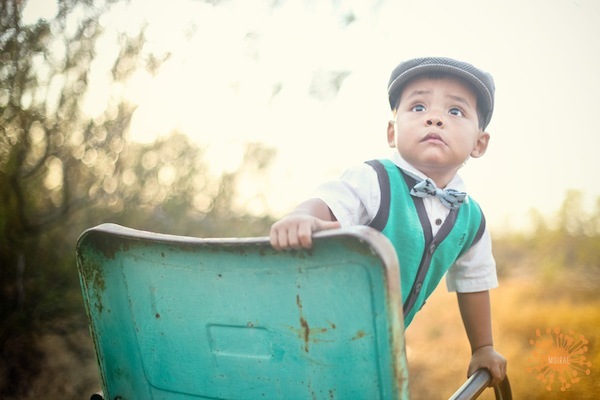 Time for a wardrobe change...I LOVE the green vest and bow tie - what a cutie pie! Thanks again to Studio Moirae for giving us the opportunity to share this awesome session with our followers - your work is truly AMAZING and inspiring!